I have two friends from Limerick and Tipperary walking the Camino now. Both started in Burgos in the middle of May and as I type they are in Fonfria. They hope to be in Santiago by the 8th of June to celebrate Pentecost Sunday. Plenty of time. They have had tough times with stormy weather and rain but all in all they have enjoyed their Camino and are walking close on 25km on average per day. They did have some difficulties with finding accomodation from Hontanas to Sahagun as quite a few were booking rooms ahead due to the bad weather. I can’t understand that myself. There is plenty of beds to go around and hearing people stress and getting involved in a “bed race” creates stress for other people. It is far from enjoyable. (Here’s a tip: leave John Brierley’s book at home and forget about the “suggested” end stages). 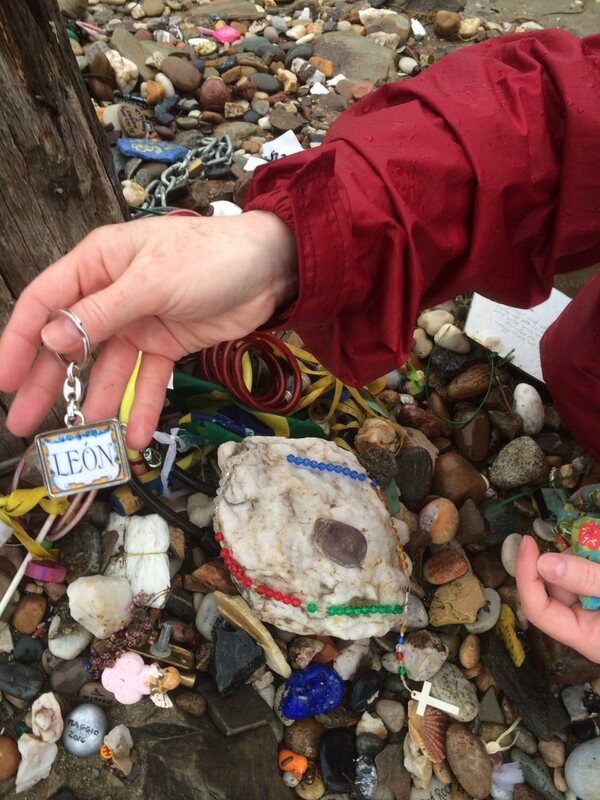 Anyway, before they went I met both for a practice walk and I passed on a keyring that I bought in Leon last May. I asked for the keyring to be placed by the Cruz de Ferro when they pass. I have left other keyrings there in the past. And they did so, see the picture above.